Claim up to 50 Free Spins, a wager bonus and a Free Bet today! 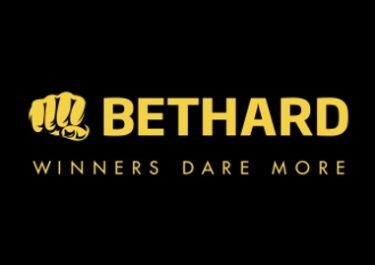 Enjoy some midweek action at Bethard with more extra rewards from their Christmas campaign. We have the second batch of Champions League matches happening tonight and players betting on them will be able to get a Free Bet while slot players can look forward to Free spins on as well as a wager reward for playing on. All winnings from the extra spins as usual are cash while the bonus has a low wagering requirement. Exclusive for our readers from Austria, Canada, Finland, Germany, Norway, Sweden and Switzerland. 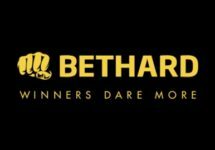 Take part in this superb Christmas Quest campaign at Bethard, divided into a daily quiz, three daily challenges and a 38-day wager marathon race. Daily rewards for each challenge are doubled if the quiz question has been answered correctly. The Christmas Quest Rewards are Cash Boosters, Free Spins, Win Spins, Wager Rewards, Free Bets, Deposit Bonuses and more. Only real money game play will qualify for any of the daily offers. Rewards are instantly credited on most days, check the daily challenges for more details. Bethard General and Bonus Terms and Conditions apply. This is a fiery 38-day race that will require a lot of stamina from the participating players. Collect one point for every €1 wagered in the Casino, Live Casino, Sportsbook and on Virtual Sports. Contributions vary, please check the terms and conditions on the promotion page for exact details. Two points are earned every week from Monday to Sunday for every €1 wagered on selected slots. A live leader is available on the race page. The TOP200 scoring players by midnight on 31st December 2017 will each win a share of €50,000 with prizes ranging from €50 – €10,000 in cash, Big and Super Spin bundles, €500 IKEA vouchers and travel experiences. All cash prizes and Free Spin prizes will be credited with no wagering requirements on 2nd January 2017. Daily Quiz Question: In what sport do you need to knock down pins with a ball?